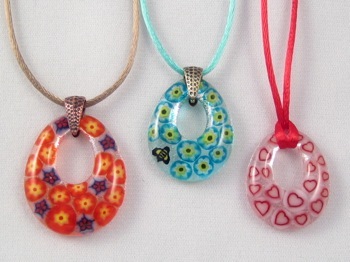 The teardrop motif has been an enduring design. 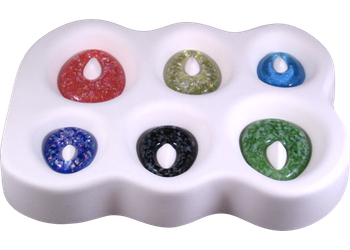 Fill them with plain frit or use a combination of frit and dichroic flakes to create exceptional pieces. 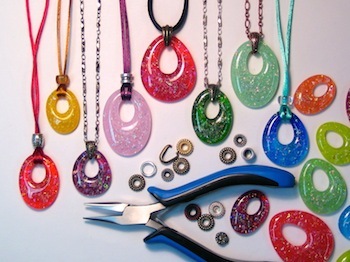 Make earings from the smaller teardrops or suspend the castings from leather, rubber, silk, or metal cords to create beautiful necklaces. 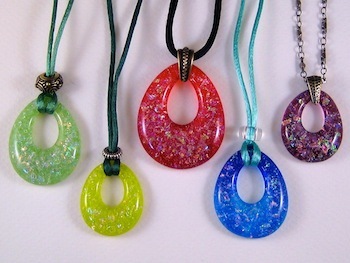 Because of the mold’s engineering, the pendants almost never require any cold work like grinding or polishing. 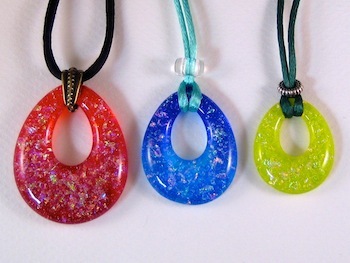 The pendants measure 0.875, 1.125, and 1.375 inches (23, 28, and 35 mm) wide. The mold itself measures 6.75 x 5 x 1 inches (17.1 x 13 x 2.5 cm). The fill weights are 11, 6, and 4 grams. We suggest using MR-97 Aerosol Boron Nitride with this mold.